German journalist and author Ralph Giordano has died, according to his publisher. Giordano was a luminary of German public life, documenting his experiences as the son of a Jew living in Nazi Germany. Gionrdano's publisher Kiepenheuer & Witsch told the daily Express newspaper on Wednesday that the writer had died, aged 91, after being hospitalized following a fall at home. Giordano was born in Hamburg to a Sicilian father and a Jewish mother and was persecuted as a young man for his Jewish heritage. He was repeatedly interrogated by the Gestapo and survived the Nazi-era along with his parents and brother having hid in a friend's cellar. After the war, he became a communist but became disillusioned because of his dislike for Stalinism, leaving the German Communist Party in 1957. Giordano was nonetheless defined by his lifelong struggle against the far-right. He wrote 23 books, many of which became bestsellers in Germany and abroad. Giordano joined the West German broadcaster WDR as a journalist in 1964, remaining there until 1988. 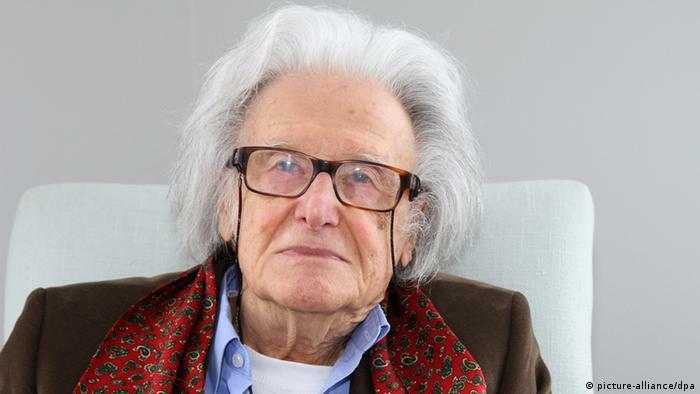 He became a freelance writer, chronicling his experiences in Nazi Germany. Among the best known of his works is Die Bertinis, which tells the story of a German-Italian family from the late 19th century and into World War II.